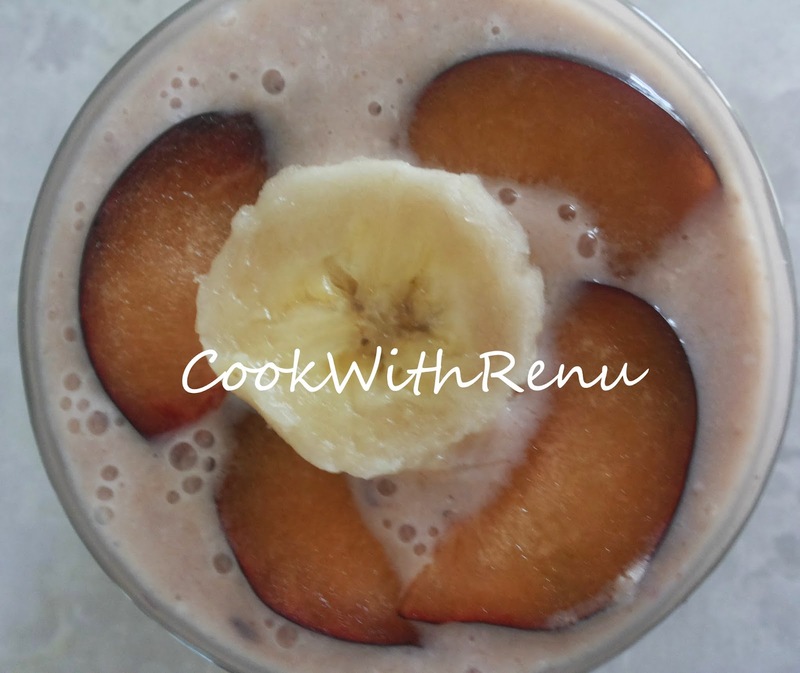 I love Powershakes………..yes instead of milkshakes I say them as Powershakes……because it is for me a simple way to make people drink the fruits which otherwise will never be eaten. And the good way is that you can hide it in many ways. 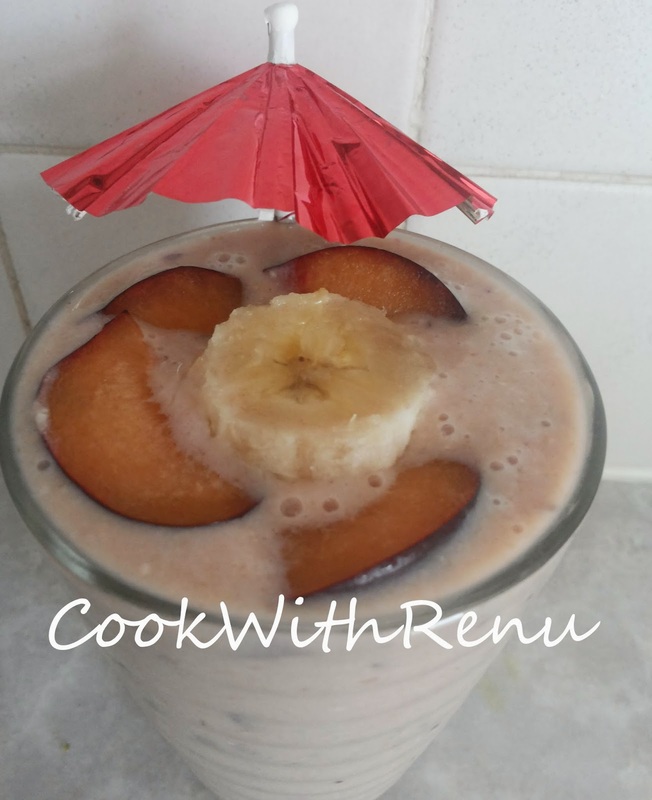 I had some plums lying around and my hubby never eats it and I was not able to finish, so thought of why not mixing it with the banana. I also added oats to give that extra health kick. And yes it is without sugar, or I simply replace the sugar with honey or jaggery wherever I can. So definitely a healthy option. Adjust the quantities as per required, the above makes 2 big glasses. Just blend all together in a juicer or a blender and you are done. If you like nutty milkshake do not blend too much, if not give it a good blend to hide things out. Tada you are done. Have this early in the morning, or as a mid-morning snack. Filed Under: Breakfast, Drinks, Smoothies, Milkshakes, etc.